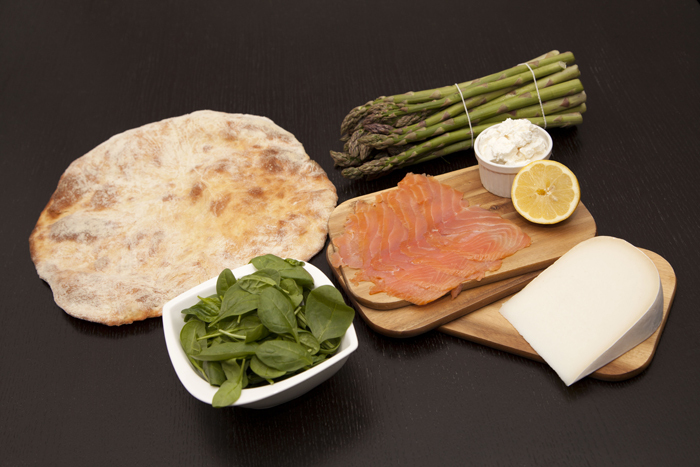 Deluxe Pizza: with Salmon, Goat’s Cheese, Asparagus and Spinach – Recipes. Simply delicious. 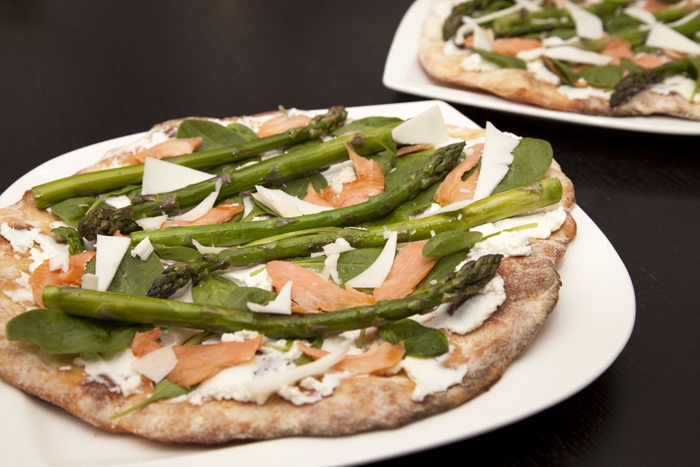 We haven’t seen this pizza topping combo on any menu before – salmon meets goat’s cheese and spinach, meets asparagus: all together, a super tasty Deluxe Pizza. And if asparagus isn’t currently in season just leave it off or substitute it with one of your favorite ingredients. Have fun trying this one out and enjoy the feast! Here you’ll find the easy recipe for how to make a pizza crust that will remind you of one that’s just come fresh from a wood oven. While you have the pizza crust in the oven, wash the spinach and let it dry in a strainer. Also wash the asparagus and cut the ends off. You don’t need to peel green asparagus, but with white asparagus you do. Fry the asparagus in some oil for 5 minutes on high heat. If asparagus season is over, top your pizza with arugula, zucchini or something else of your choice instead. After you’ve taken the crust out of the oven, spread the cream cheese on it. 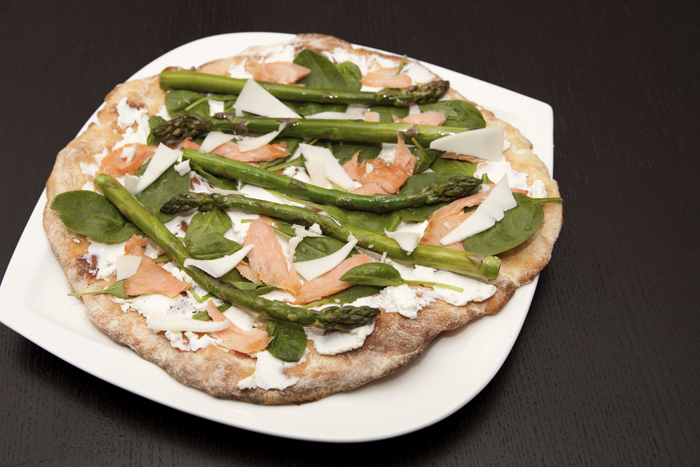 Next, cover the pizza with the salmon and asparagus and finally, spread the leaves of spinach over it. Squeeze the juice of the lemon over the salmon pieces. Finally, sprinkle thin goat’s cheese shavings over the Deluxe Pizza. To make the shavings you can, for example, use a potato peeler. 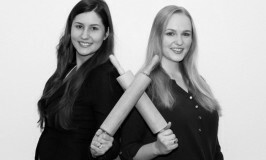 Now place the pizza for a final 5 to 10 minutes in the over, pre-heated to 250 C. Voila – this tasty pizza is ready to eat! PS: If you like this pizza you should try our Caesar’s Salad Pizza!